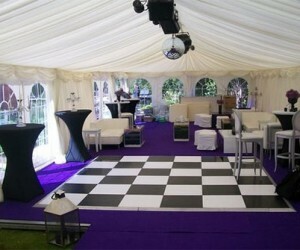 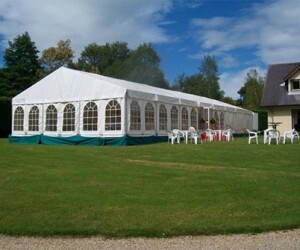 Our wedding Marquees come with aluminium doors for comfort and window walls to highlight exterioraspects, i.e. 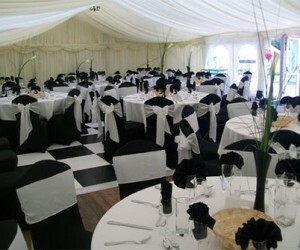 the backdrop of an illuminated house, a river, lake, mountain range or your favourite landscape garden area. West facing windows capture the setting sun streaming through the marquee windows (an experience to behold). 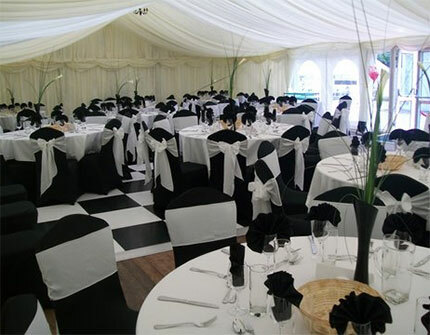 A red carpet leads you though the marquee doors to a fully lined marquee with pelmets in red, blue or green to match the bridesmaids’ colours or perhaps ivory to match the bride. Power for the event is normally provided by our own generator looking after the lighting, bar, cooking and even the band’s electrical equipment. 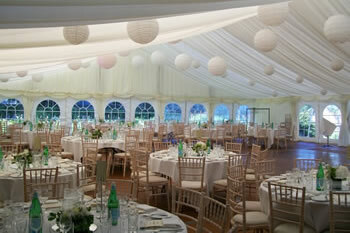 Padded chairs ensure comfort throughout the event while high bar tables ensure rapport amongst guests. 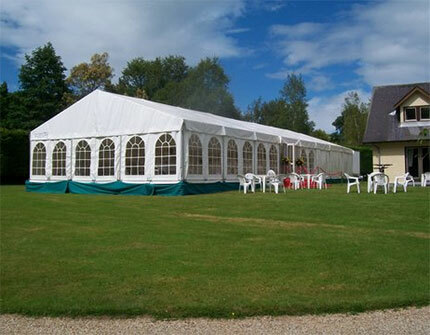 If you require a venue in a particular area of Ireland, please let us help you find it or recommend one just right for you.